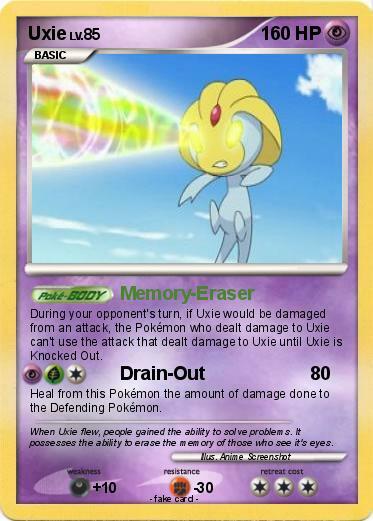 During your opponent's turn, if Uxie would be damaged from an attack, the Pokémon who dealt damage to Uxie can't use the attack that dealt damage to Uxie until Uxie is Knocked Out. Comments : When Uxie flew, people gained the ability to solve problems. It possesses the ability to erase the memory of those who see it's eyes.